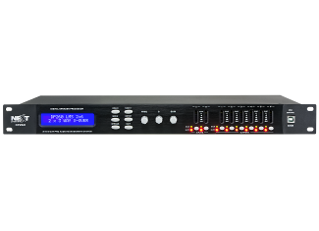 The NEXT DP260 is an accurate yet affordable sound processor, for professional sound system management, considerably more powerful than similarly priced units, providing a versatile and economical alternative for system designers. This digital speaker processor delivers excellent sound quality and an impressive variety of processing functions. It features 2 inputs and 6 outputs, and has a 3 band parametric equalizer for each input. 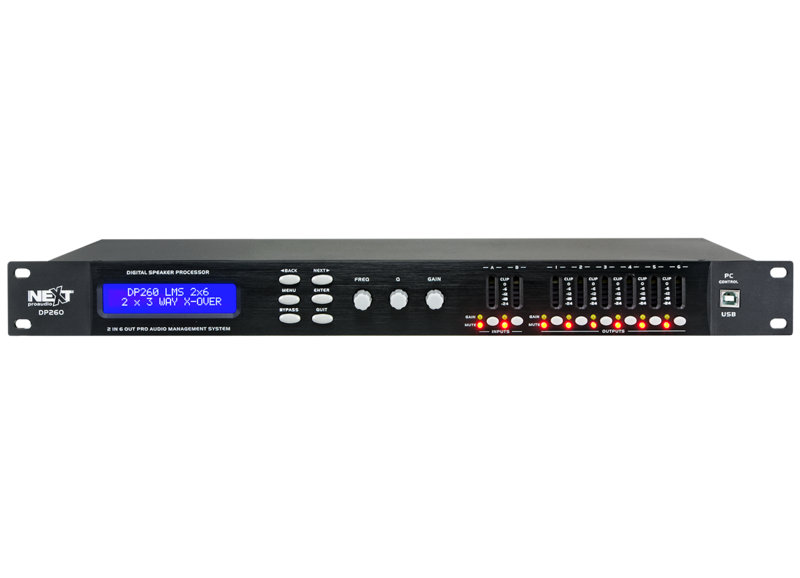 Outputs all feature crossover filters, 5 band parametric equalizer, phase inversion, gain, source selector, delay and fully featured high performance limiter with complete control over attack, release and threshold parameters. Other features included a choice of 6 to 48dB/Octave roll-off, and Butterworth, Bessel, Linkwitz-Riley or 12dB variable Q, responses. Independent control of each high and low pass filter allows asymmetric crossover bands to be created. 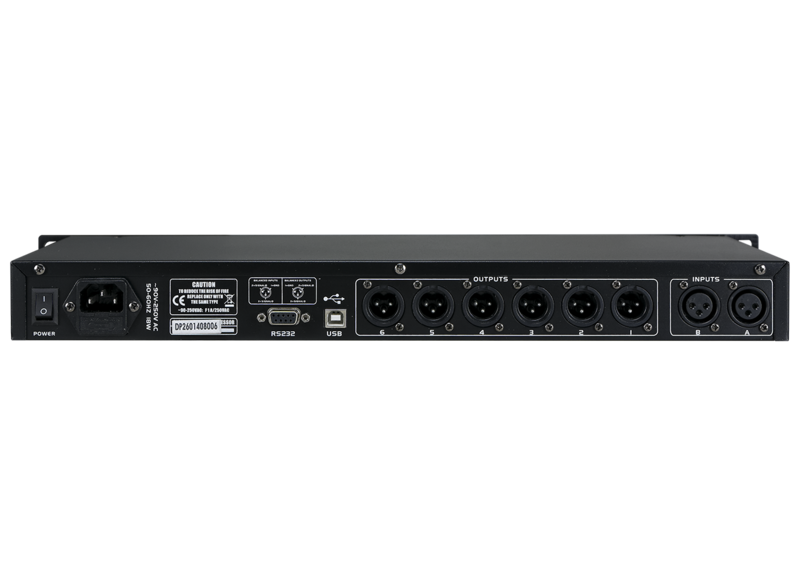 Inputs and outputs can be routed in multiple configurations to meet any requirement. Three velocity-sensitive encoders provide a familiar and intuitive control format with all filter information displayed simultaneously on a backlit LCD screen. Full metering is provided for inputs and outputs, with mute/access buttons allowing quick set up and gain adjustment. The NEXT DP260 is provided with PC compatible control software for full system set up and management. Just complete your system set up in a real time basis and save your configuration in the processor via the delivered USB wire.